From Saturday 2nd – Sunday 3rd February, Rockliffe Hall, a five-star luxury golf and spa hotel on the edge of the County Durham and North Yorkshire border, is hosting its first Artisan Food Fair to launch its week-long Festival of Food. Taking place from 10am to 4pm each day, the Artisan Food Fair, sponsored by Goodfellows At Home, is the perfect day out for food and drink lovers with 30 stalls inside Rockliffe Hall selling delicious artisan produce from local gins and award-winning puddings to gourmet scotch eggs and unusual condiments. Hot food will be available from a selection of the best Street Food Traders, and visitors will be able to tuck into dishes from the Middle East, Caribbean, Greece and Germany, as well as American-style vegan junk food from regional favourites Grumpy Panda and coffee from The Tynemouth Coffee Company. 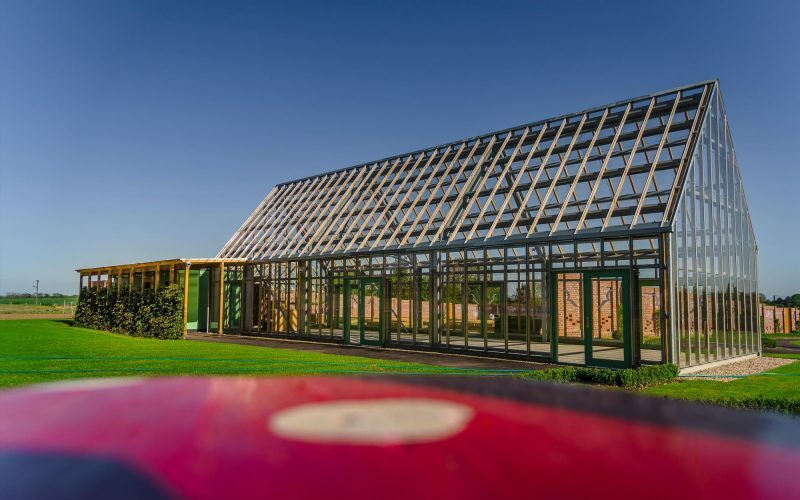 In The Looking Glass House, Live Chef Demonstrations will be taking place by Rockliffe Hall’s chefs and top chefs Danny Parker, Dave Coulson and Daniel Fletcher who have recently appeared on BBC2’s Great British Menu. The chefs will each be paired with a food producer from the region to show visitors how to use the produce at home to create delicious dishes – with the product used being available for sale at the food fair. It’s going to be an interactive and intimate experience, with visitors able to ask questions and see the chefs cooking up a storm. Savour Magazine will be hosting its popular Spirit Schools across the weekend – where guests can be taken on a journey of their chosen spirit and sample up to six different drinks. Choose from Gin School (£25 for five G&Ts) at 12pm on Sunday, Whisky School (£35 for six whisky tastings) at 1.45pm on Saturday and Sunday, or Rum School (£25 for five rum tastings) at 3.15pm on Saturday and Sunday. Tickets must be bought in advance by calling 01325 729999 or emailing vip.event@rockliffehall.com. 3.00pm – Aaron Craig (The Brasserie), cooking with Durham Gin. 3.00pm – Dave, Danny and Dan: Great British Menu Highlights. G&G Goodfellows at Home, Calder’s Kitchen, The Sweet Beet, Screaming Chimp, Fairleys Fine Condiments, The Clucking Pig Company, North Chocolates, Durham Distillery, Hepple Gin, Weardale Cheese, The Lakes Distillery, The Sawley Kitchen, Northumbrian Smokehouse, Rosalind’s Larder, The Little Quaker Distillery, Burtree Puddings, The Twisted Curry Co, Mediterranean Gourmet Company and the British Game Alliance, Harrogate Tipple, Bows Bakes and Cakes, Lovesome Oil, Three Brothers Brewery, The Northumbrian Sausage Co, Pie Jackers, The Busy Whisk, Kitty’s Homemade Ginger Wine, The Northumbrian Bakehouse, and The Velveteen Rabbit Luncheon Club. The Calabash Tree, Smokey Joe’s, Grumpy Panda, Papa Ganoush, Mivesi Spice, The Tynemouth Coffee Company, Hatch 76, The Little Fishy, Zuchinni Pasta Bar, Tango Durham, and Fire & Dough.